Tim moved to Chicago in 1983 after graduating from the University of Wisconsin-Madison with a BS Degree in Construction Administration. After working for several years in the graphic design industry, he landed in the sales and marketing world which led to his becoming a real estate broker in 2000. 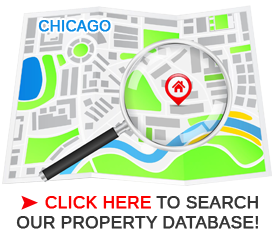 Over the last 11 years Tim has worked in brokerage in various neighborhoods including Bucktown, Wicker Park, Logan Square, Lakeview and Lincoln Park as well as all the downtown neighborhoods including Streeterville and the Gold Coast. He spent several years as part of the marketing and sales team for one of the biggest residential developers in the city, and worked on many of the most prominent high rise buildings in Streeterville. He left the Streeterville area a few years ago to go back to brokerage and worked on projects in Logan Square, helping a small bank group work out some of their REO issues. Being back in Streeterville again is a little like coming home. Tim lives just outside the Loop and has a special affinity for the downtown neighborhoods and for the great city of Chicago in general. He’s particularly happy to have the opportunity to work again in many of the buildings he originally helped to market and sell. Streeterville is a great community with many great buildings, but it’s really the people and the businesses that give this neighborhood its special flavor. Tim is very excited to have become a part of Streeterville Properties and to join Gail and the rest of her great team.